Enhance your homes scent with Air Wick Scented Oil. It releases continuous fragrance so your home always smells welcoming. 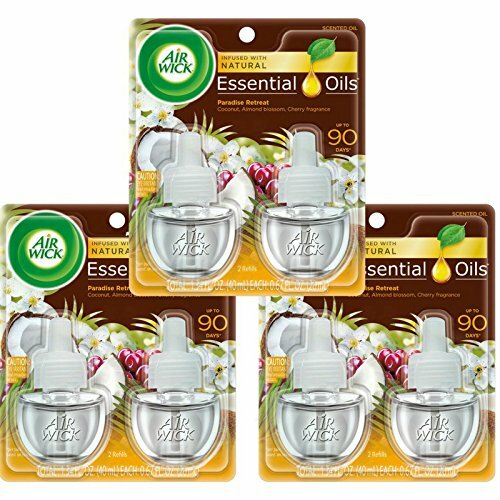 Air Wick Scented Oil Refills contain natural essential oils. Each Air Wick refill provides up to 45 days* of continuously diffused and carefully blended fragrance throughout your home, office, or any space. The new Air Wick Scented Oil Plug In Warmers also allow you to choose between 5 fragrance levels as desired, while enhancing your dcor with a sleek look. *Based on low setting.